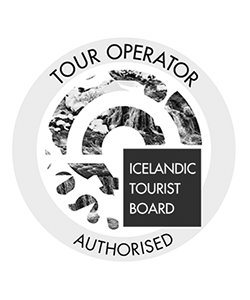 Iceland has, for some time now, been one of the more popular destinations to visit in Europe. With its dramatic landscapes, remoteness, glaciers, and volcanoes one should not be too surprised. But, during your visit, you will need a place to stay. 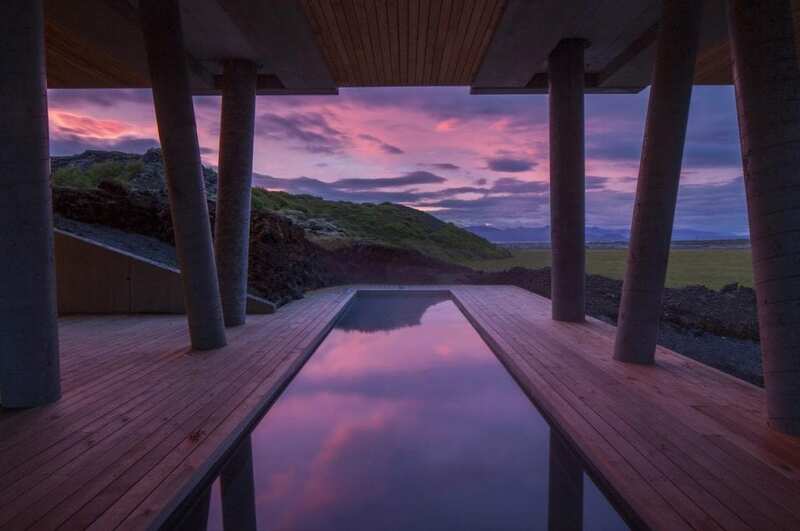 To help with this problem we have put together a list of the Top 10 Best Hotels in Iceland! 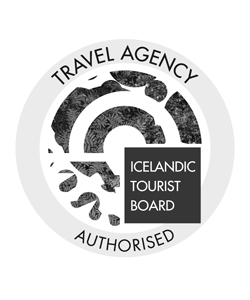 Icelanders have a rich culture and a well-documented history which dates back to the Viking times. Their tales of battles, kings, and the misbehaved have been translated time and again and intrigued the interest of people all over the world. 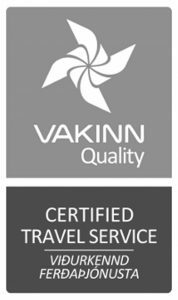 The hotels we have chosen for this list all have that in common that they offer some resemblance to this history and Iceland’s unique living circumstances. Some try to capture the isolation people experience living in the deep fjords, others the warmth of our grounds and often the decor and carefully chosen room items each serve a purpose in telling this story. The pictures will speak for themselves! 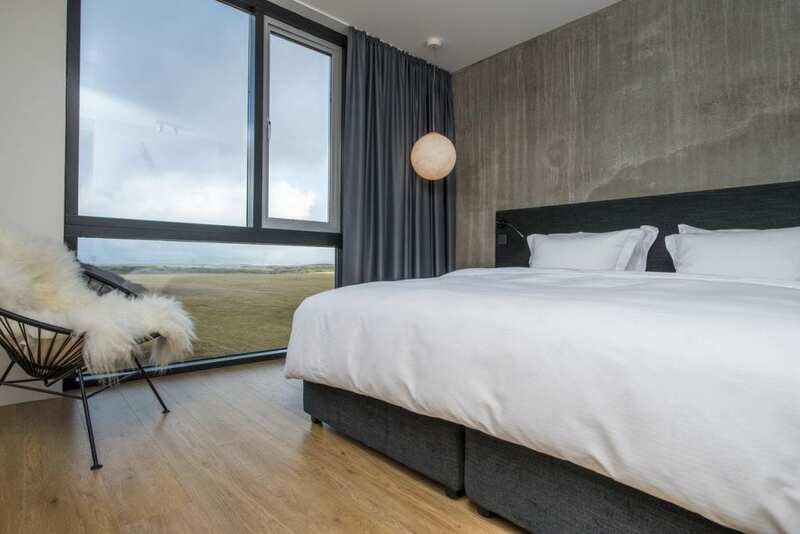 The Icelandair hotel at Vík is perfectly located in the town, within walking distance from all the basic services but still far enough off the road that you will not hear the cars passing. Just minutes driving or walking you have some of the most stunning sights on the South Coast. The hotel has 88 rooms in total of which are 46 in the main building. The rooms are all decorated in a contemporary and designed to reflect the natural surroundings, the beach, and the cliff-side birdlife. 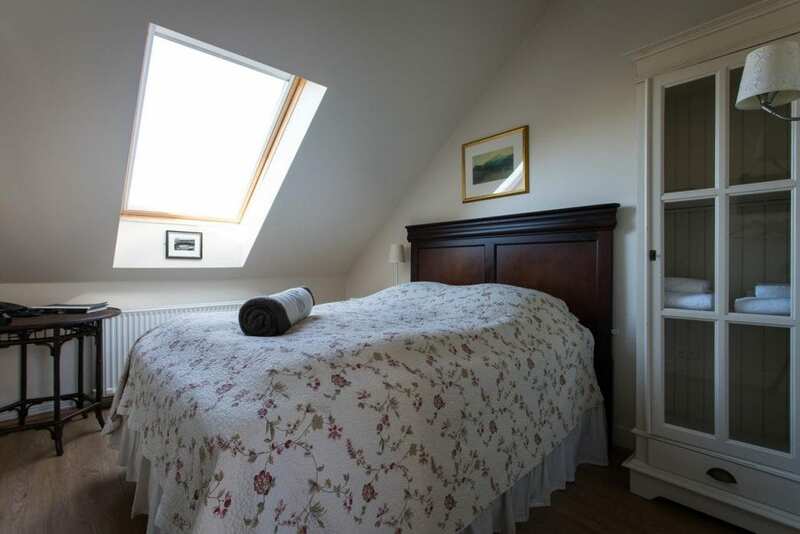 The rooms have very low vertical windows which bring in a lot of light making the room brighter, feel fresher and gives you the sense that you are in close contact with nature. 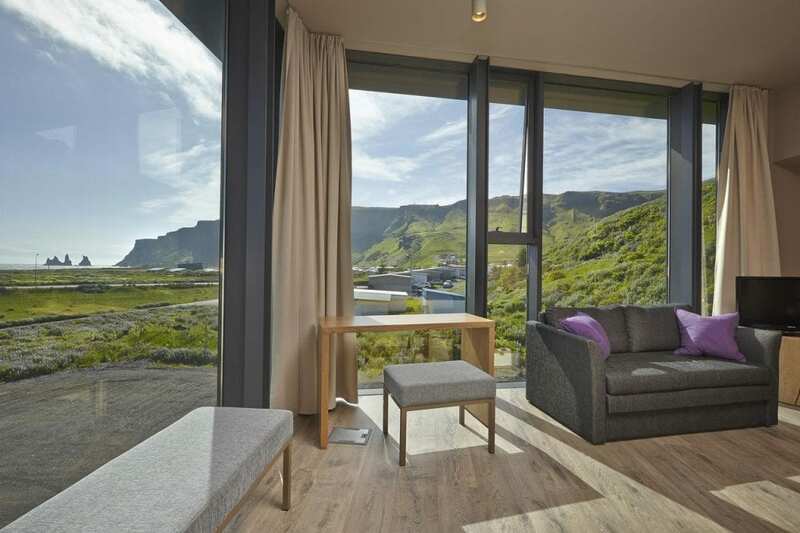 The views are either off the cliffs in the backdrop which have growing wild moss or the Reynisdrangar basalt columns which peaks at the nearby black beach. 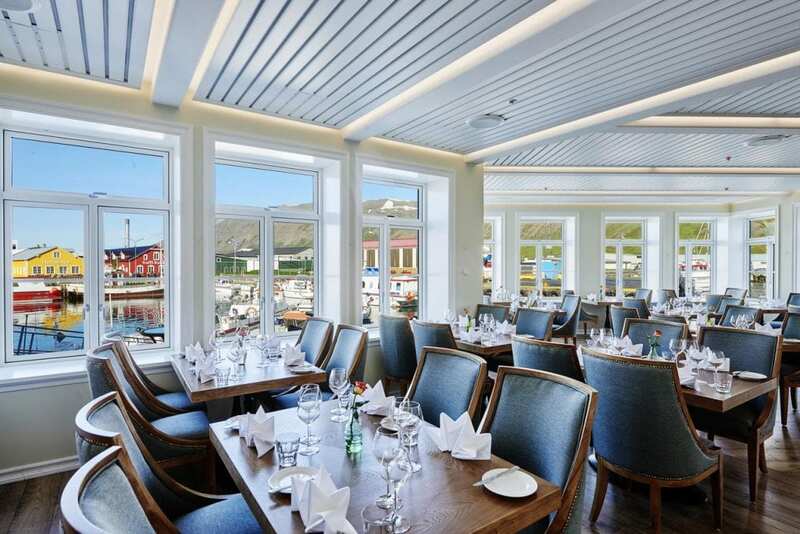 The spacious restaurant, Berg, offers splendid views and water-in-your-mouth delicious meals made from local ingredients presented in an elegant matter. The restaurant is open for dinner and is served á la carte. If you wish to kick start the evening earlier the cozy hotel bar offers happy hour from 4-6 pm. The perfect place to stay at on the Southern Ring Road. Hotel Ranga Luxury resort and dining has often been chosen one of the top places to honeymoon and their suites will show you why. 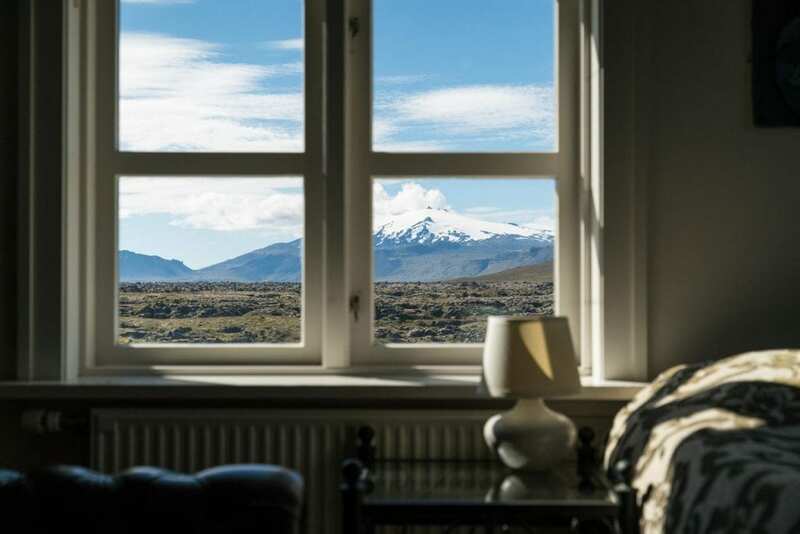 Each suite has a continent theme, the junior suites are Asia, Australia, North America, and South America and the Master Suites are Africa and Antarctica but the Royal suite has an Icelandic theme. The suites are truly one of a kind and have been specially designed to provide the guest with the ultimate comfort but also an experience that is truly “a world apart”. They offer well thought out details and have obviously spent time with each and every suite. Fun Fact: This is where Justin Bieber decided to stay in his trip around the South Coast! Hotel Rangá is a 4-star hotel located on the South Coast and easily accessible off the Ring Road. Their restaurant is first-class and offers tasty meals made fresh from the area around. 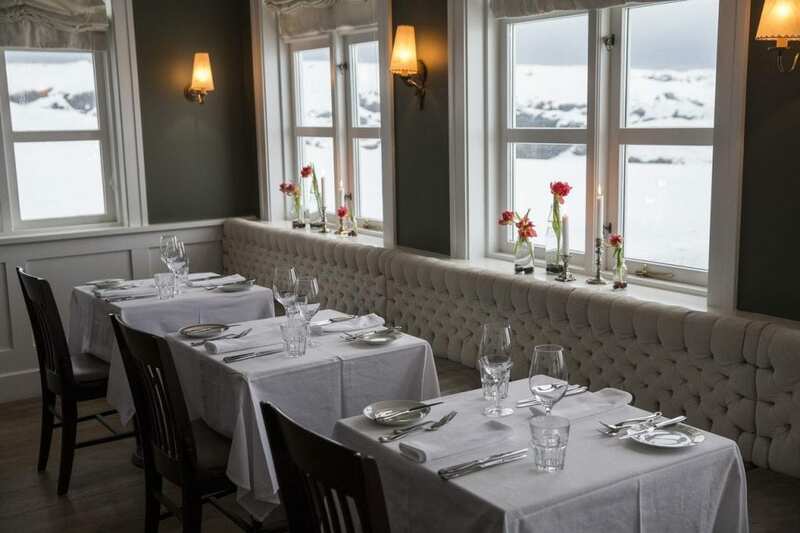 Their concept is somewhat of a farmer’s market and the salmon river that flows right next to the hotel has been influential in the creation of the menu which is a modern Nordic one. 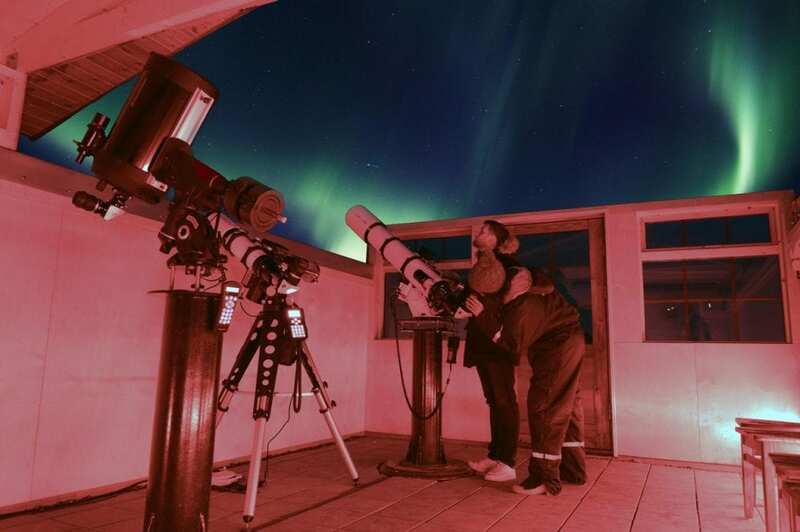 The outdoor hot tub is known to be the perfect place to stargaze or watch the Northern Lights so if you are there in winter make sure to check it out! Located, it seems, in the middle of nowhere on the Snæfellsnes peninsula this towering white building is a sight for sore eyes. 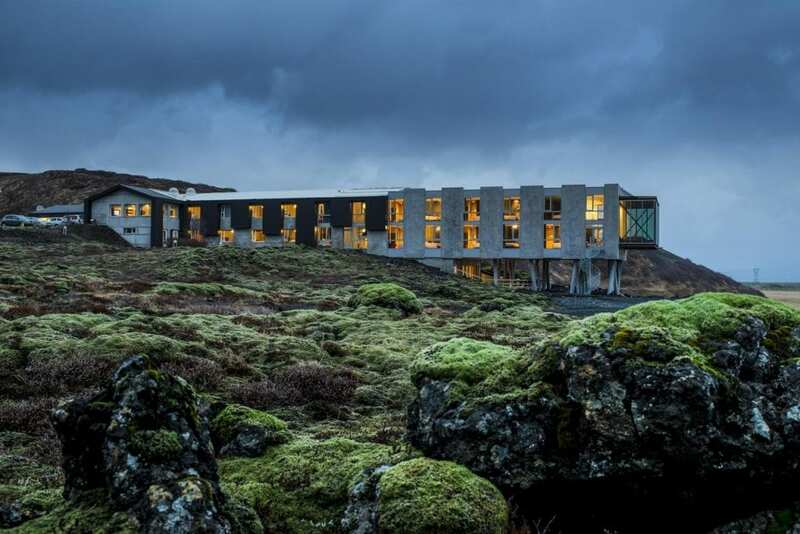 In the midst of a lava field, down by the shore, you will find Hotel Búðir, an elegant country hotel in a league on its own. The ambiance at this place is evident from the moment you step inside, relaxed but well-taken care off and the host is attentive at your every step. 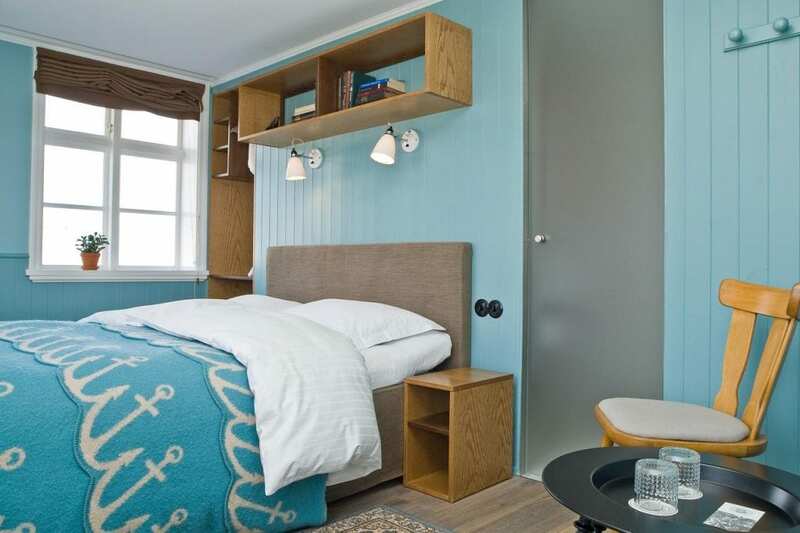 Each room has handpicked items which strongly suggest the way of living by the upper class in Iceland in the last century and the views from them are either of the sea, the lava field, the mountains surrounding or the renowned Snæfellsjökull glacier, where Jules Verne wrote to be the passage to the center of the earth. 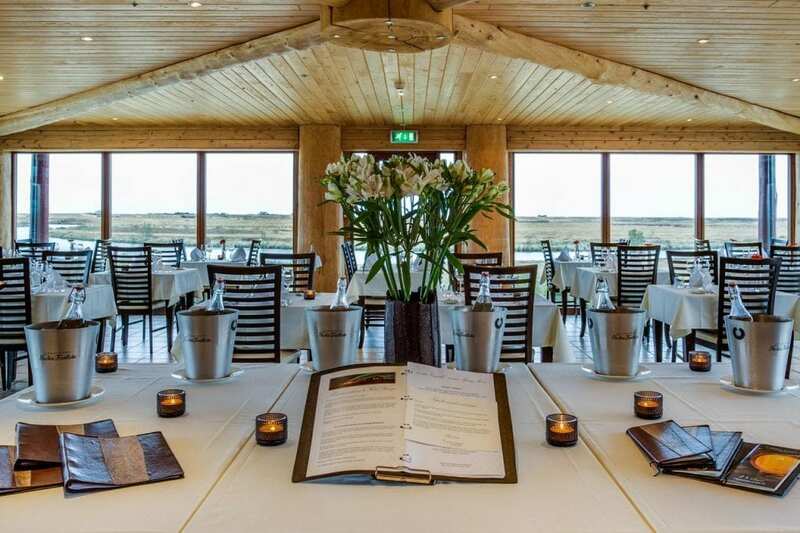 The restaurant had an impeccable menu, specializing in local fish and lamb which you can either enjoy in the lovely dining room or in a more relaxed matter, in the lounge. From the lounge, seals are often seen playing in the bay popping up and crawling to the shore to bathe in the sun. 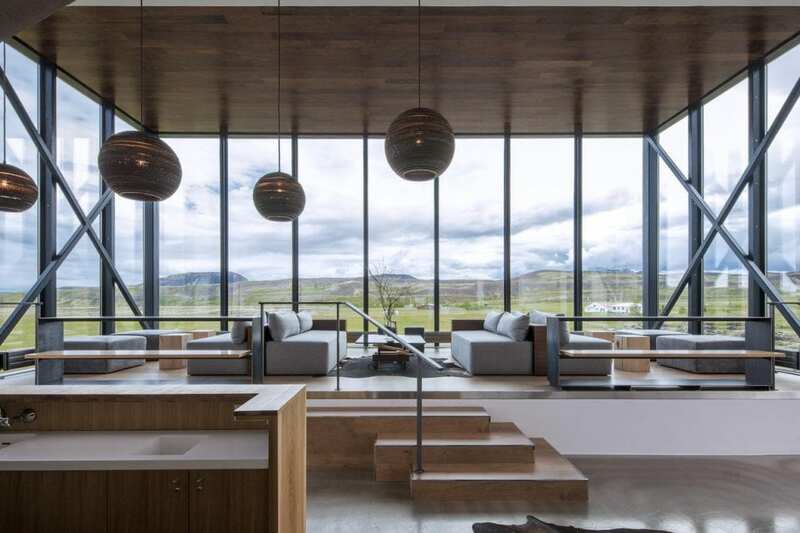 The hotel has been listed as one of the Ten Best Remote Retreats by the Financial Times, the Forbes Magazine listed it with the World’s Most Remote Luxury Lodges and Travel + Leisure magazine chose the area as the Best Winter Getaway Place. This is truly an iconic place to stay! 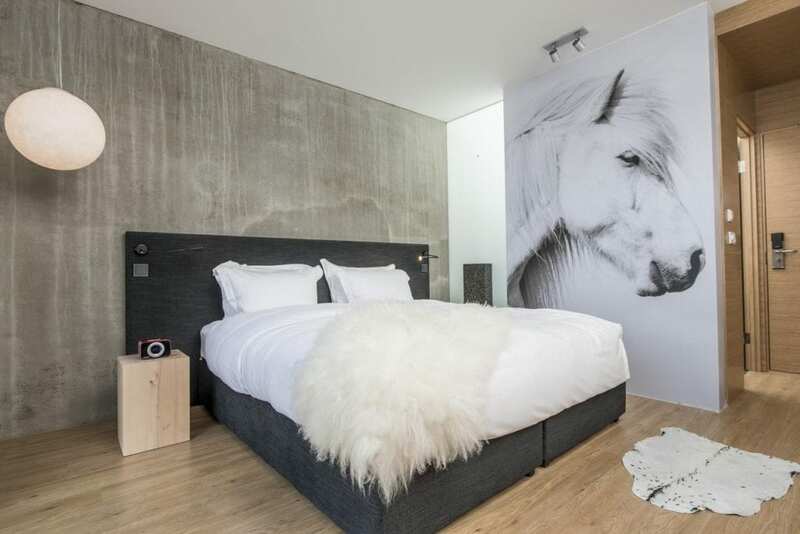 A design hotel in the center of Reykjavík. 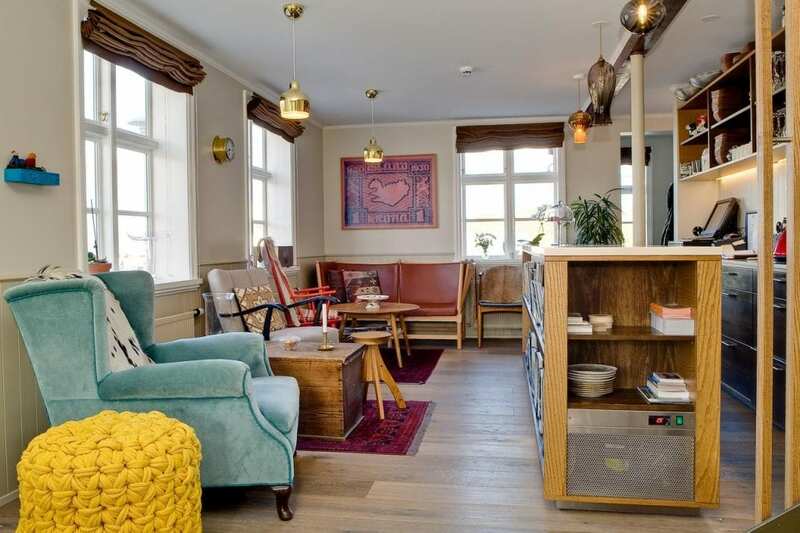 If there ever was the perfect place to stay at in downtown Reykjavík this would be it. 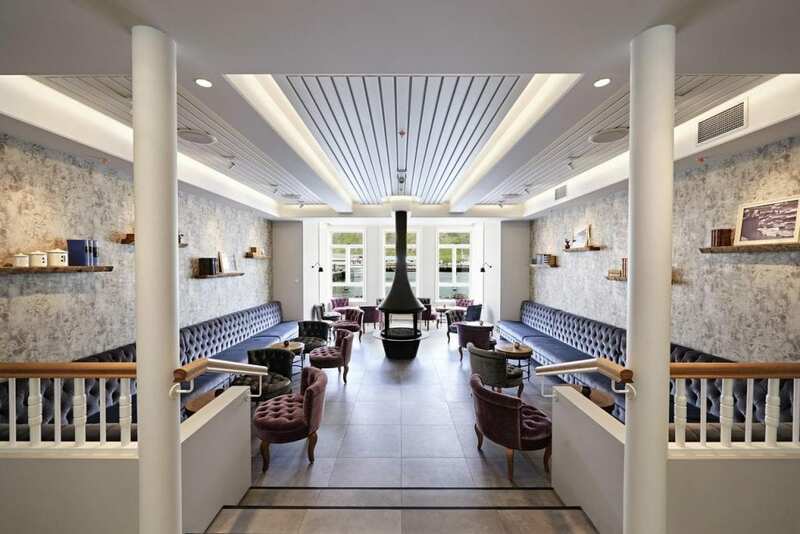 At a side street down from Laugavegur main shopping street, surrounded by all the best restaurants, museums and attraction, the 101 Hotel is the place to be. 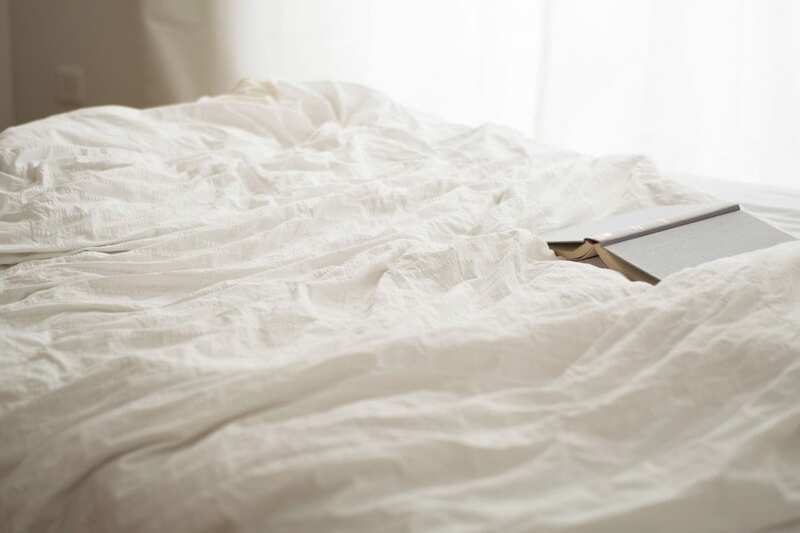 The 101 offers everything you might want in a hotel but it’s that little extra that is getting it, its place at this list. 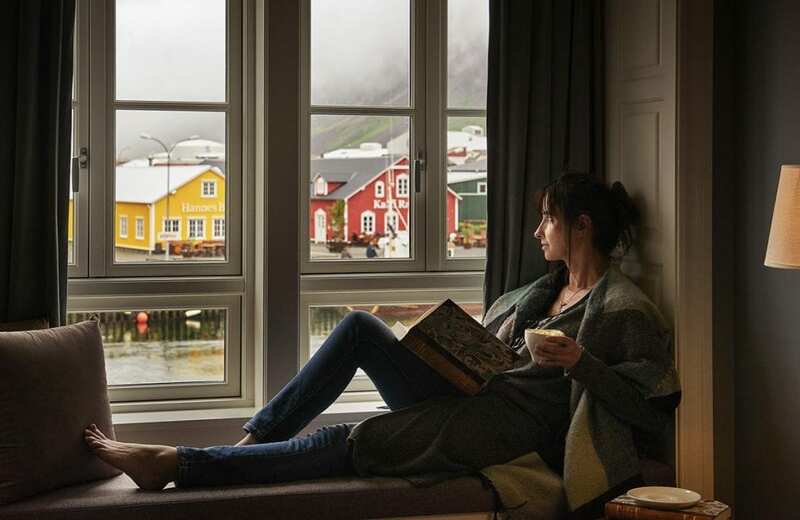 Through the hotel, you will find amazing art pieces by Icelandic artist, a spa and wellness center and a fabulous restaurant offering everything from burgers to fancy lobster dishes. 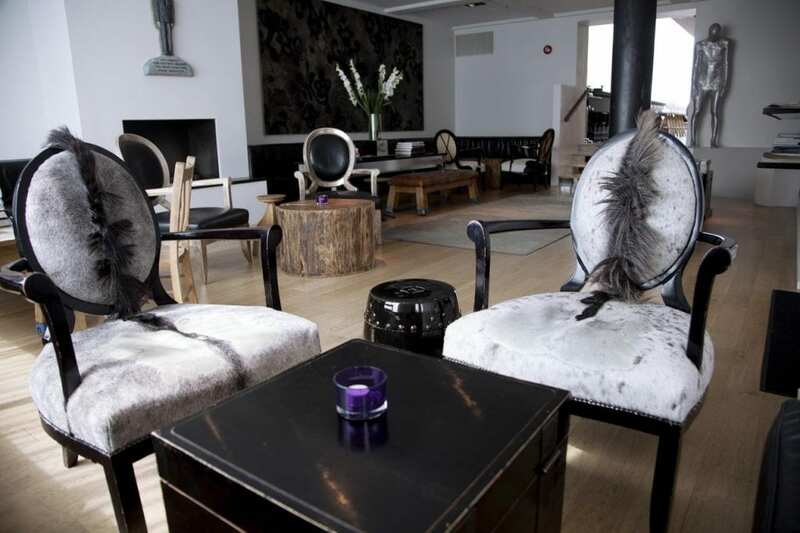 The rooms range from standard to apartment suites but all have the same Scandinavian Black and White interior feel. They all have underfloor heating a welcomed touch after a day out exploring. 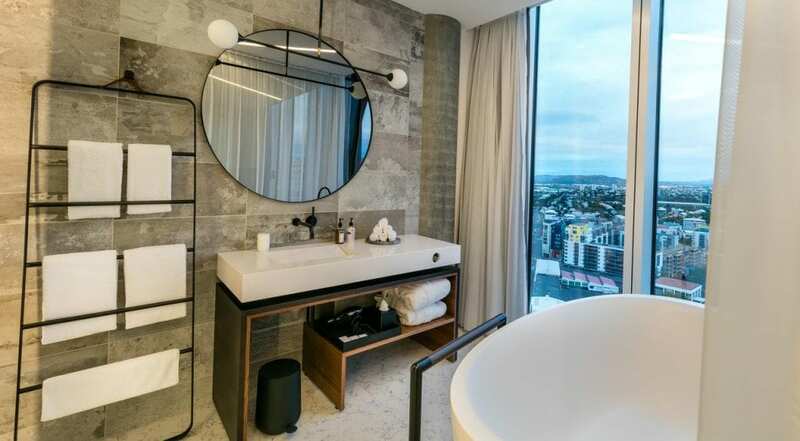 Nothing has been saved in the expense of this hotel which is evident in speaker system, the Aveda toiletries, the bed linens by Quagliotti and in-room Blue Lagoon skin product boutiques. 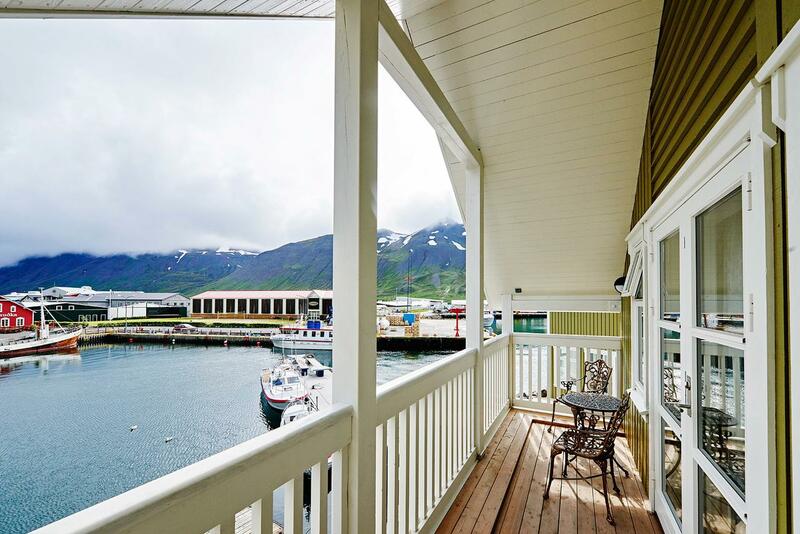 Nestled in the heart of Stykkishólmur, Hotel Egilsen is your home away from home. 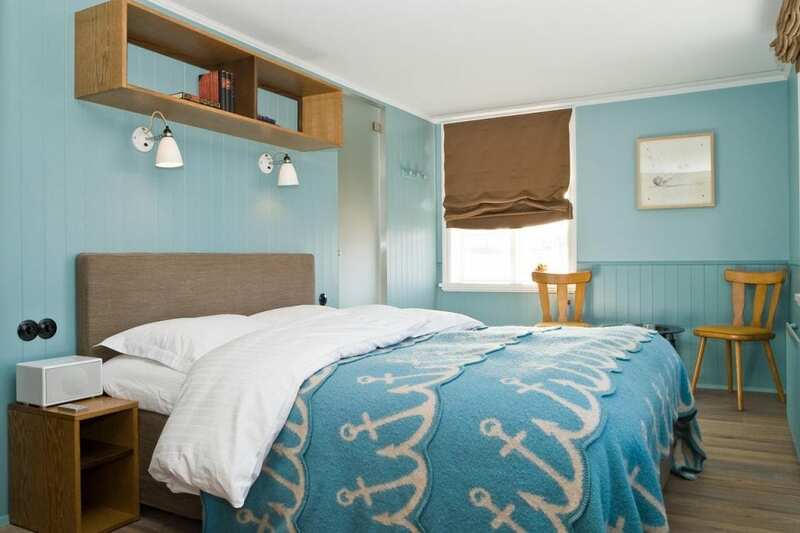 Here we have a historical gem that has been altered into an intimate 10 bedroom boutique hotel with top of the line COCO-MAT beds and a marine-influenced interior all to get you the best possible sleep and relaxation. 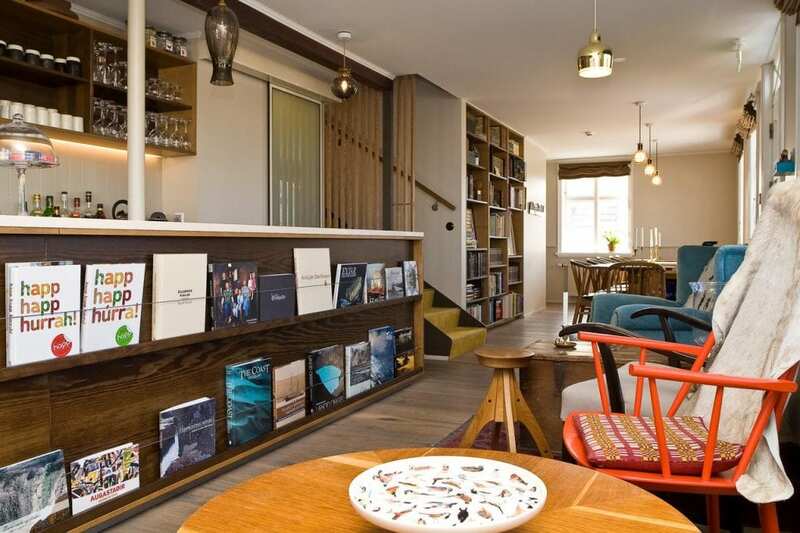 What awaits in the morning is a delicious breakfast, an exceptional cup of coffee and a small hand-picked library for you to enjoy. The rooms are especially colorful and filled with character. 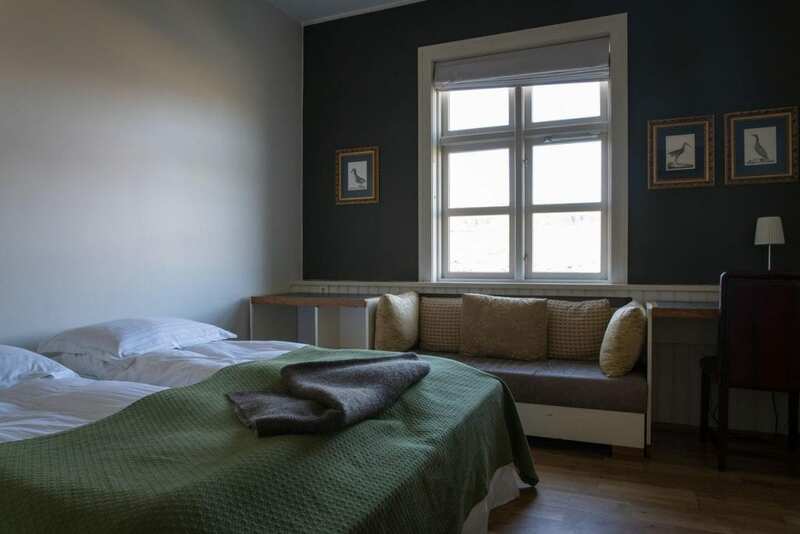 The rooms are covered with and Icelandic design wool blanket and the heritage of the sight in very apparent. 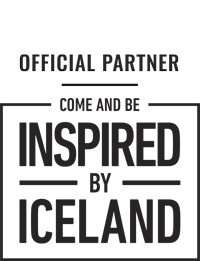 The staff is known to be very friendly, which is visible in the reviews, mentioned in almost every single one! They are keen on telling you all there is to know about the town, what to do and its history which is truly fascinating. The house was built in 1867 by an influential businessman in town named Egill Egilsson hence the name and is protected by the National Cultural Heritage Act. 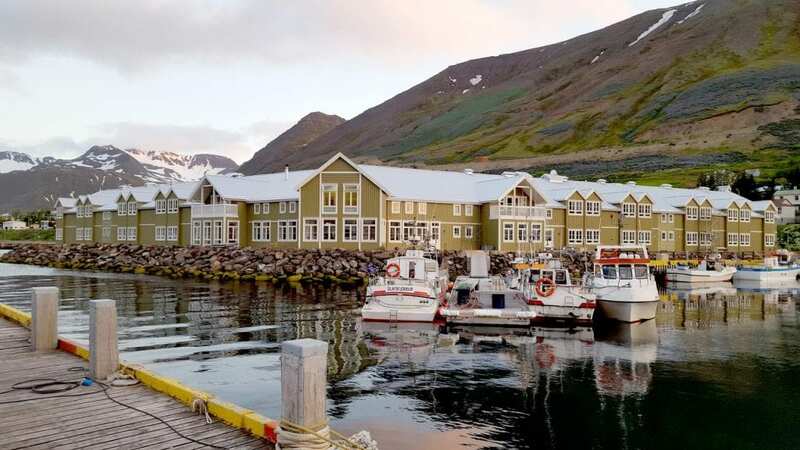 Siglufjörður is a charming town at any scale but up into the Sigló hotel was built it was lacking in accommodation. 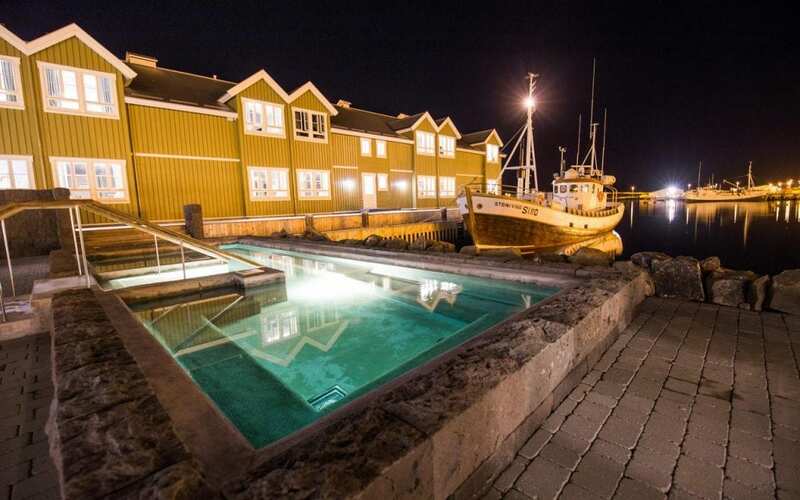 Now, you can enjoy the luxury at Sigló Hotel and get to know the characterful fishing village in the North. The hotel had 68 rooms which all offer an impossibly beautiful ocean view leading out the fjord. 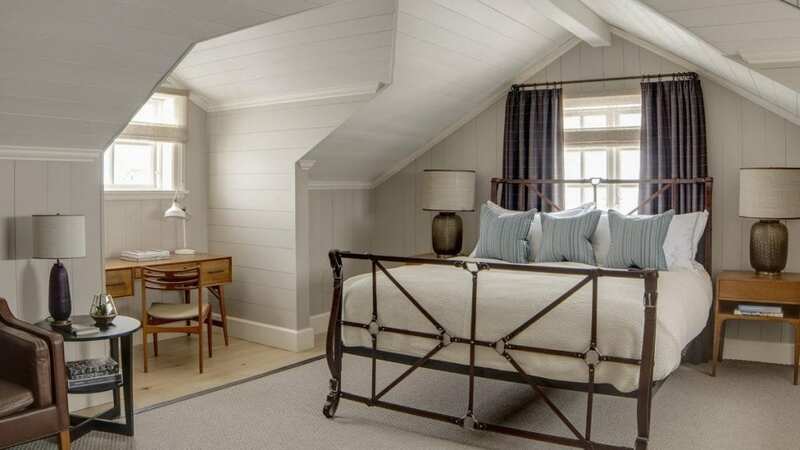 The design is classic yet romantic with a warm touch and the rooms are spacious. On the walls you see photos from the daily live in Siglufjörður in the olden times, a vision into the culture and heritage of this vibrant community. Guests also have complimentary access to a sauna and hot tubs! 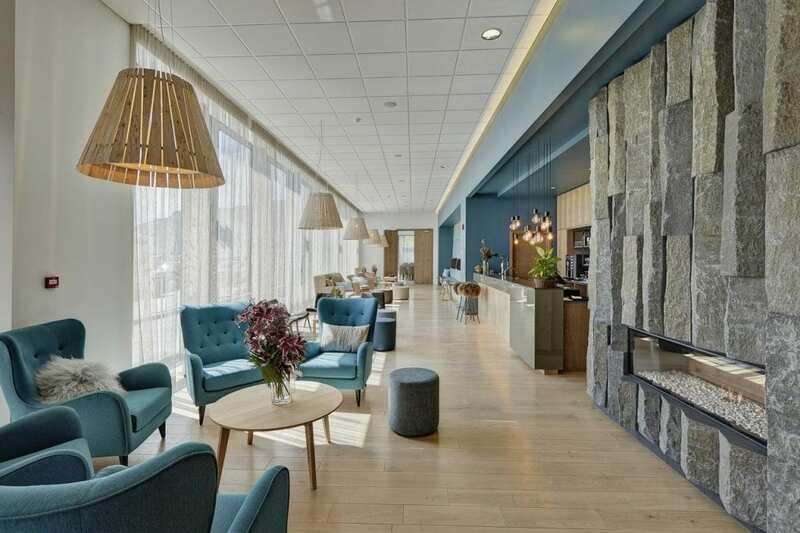 Sigló Hotel offers not one, not two restaurants but three so you can easily find something for you and your travel companions. There is the restaurant Sunna, Kaffi Rauðka and Hannes Boy. The food is mainly locally produced and the range of drinks and dishes are excellent. Truly a getaway you’ll remember! 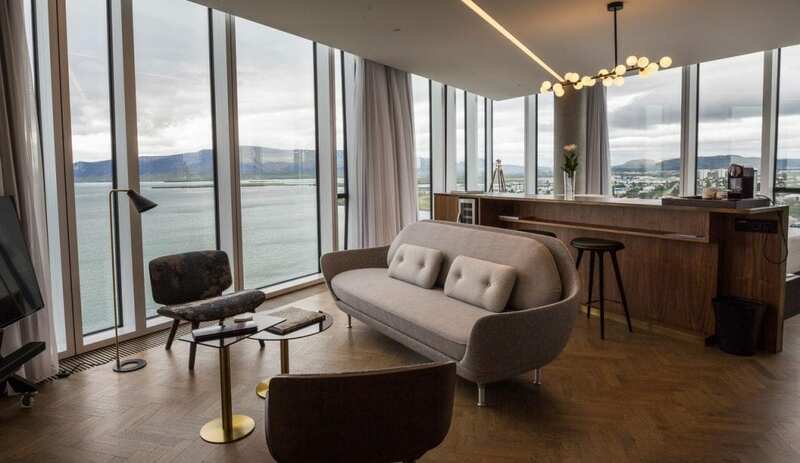 If you are looking for views and luxury in Reykjavík Tower Suites is where you should lay your head. 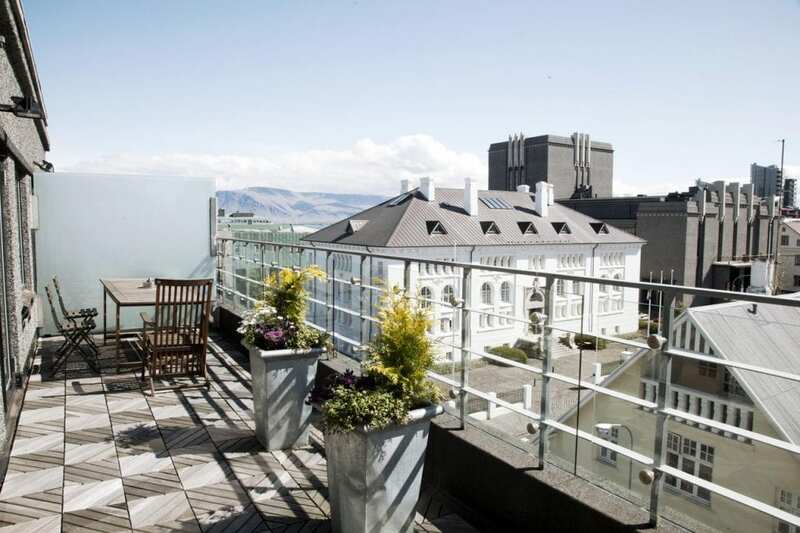 In total there are eight suites situated at the 20th floor in downtown Reykjavík. This is a rare find as Icelanders aren’t exactly known for their skyscrapers which is also why you will have the skyline to yourself! 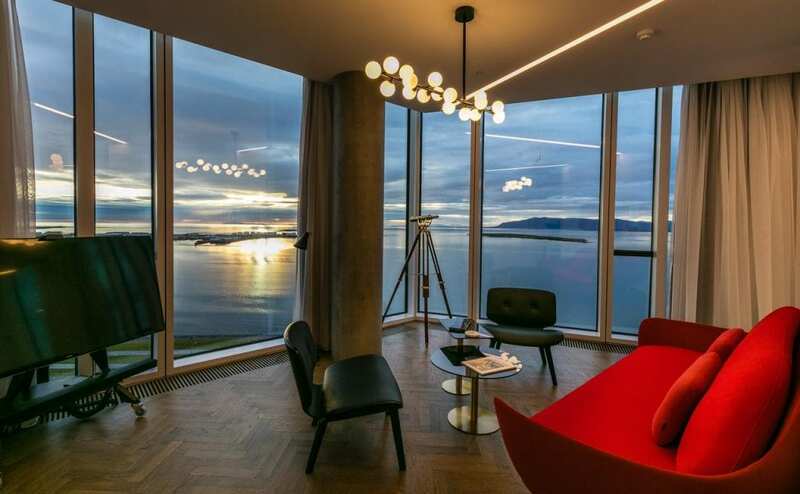 Each of the suites has its own character and offers a 360° panoramic view over Reykjavík and often all the way to the next peninsula offering visuals of glaciers and volcanoes. The suites can be booked with a 24/7 service which will provide you with anything you might need during your stay, starting with a welcoming glass of bubbly. 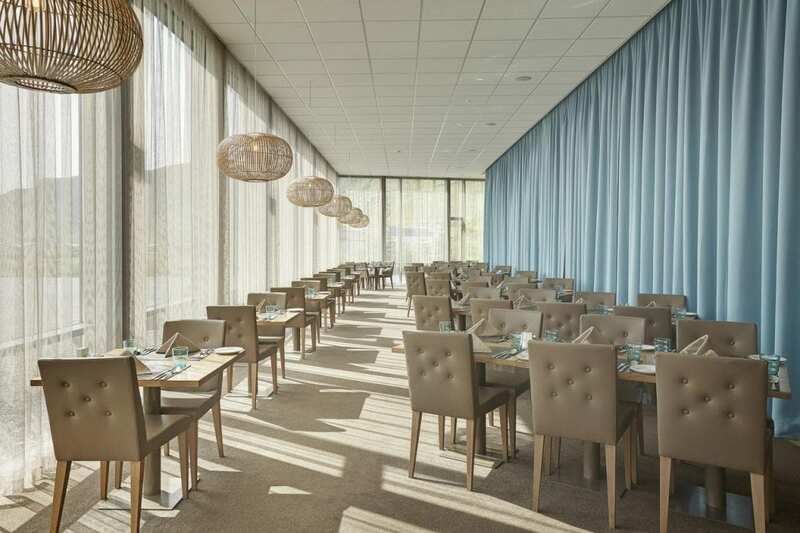 The suites offer what they like to call an invisible service where the check-in is on your smartphone and a member of staff is only a few clicks away. 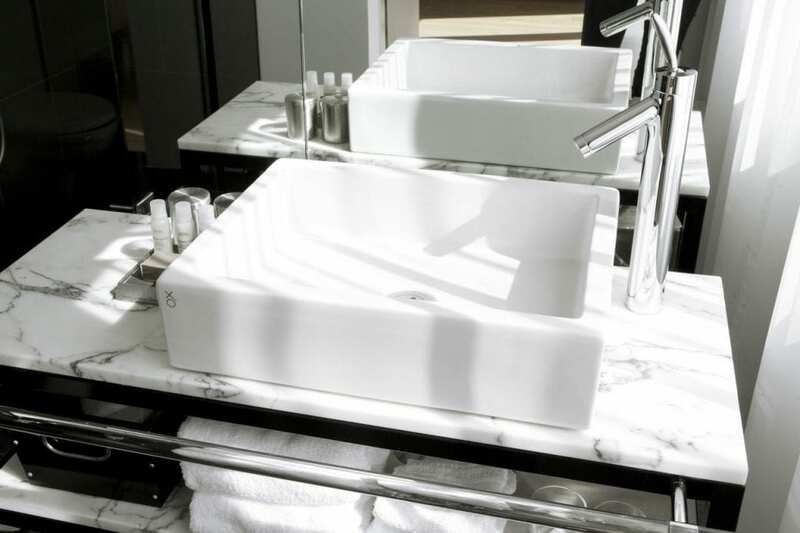 The toiletries are from Sóley a local herb-based skincare brand which you can join in the bathtub found in each room. The rooms are all made out with the state of the art coffee makers, a complimentary mini-bar, a telescope, an in-room yoga mat and an iPad. Less than an hour away from the city center you will find the extraordinary Ion Adventure hotel tucked away between smoke pillars from the natural hot springs in the ground. 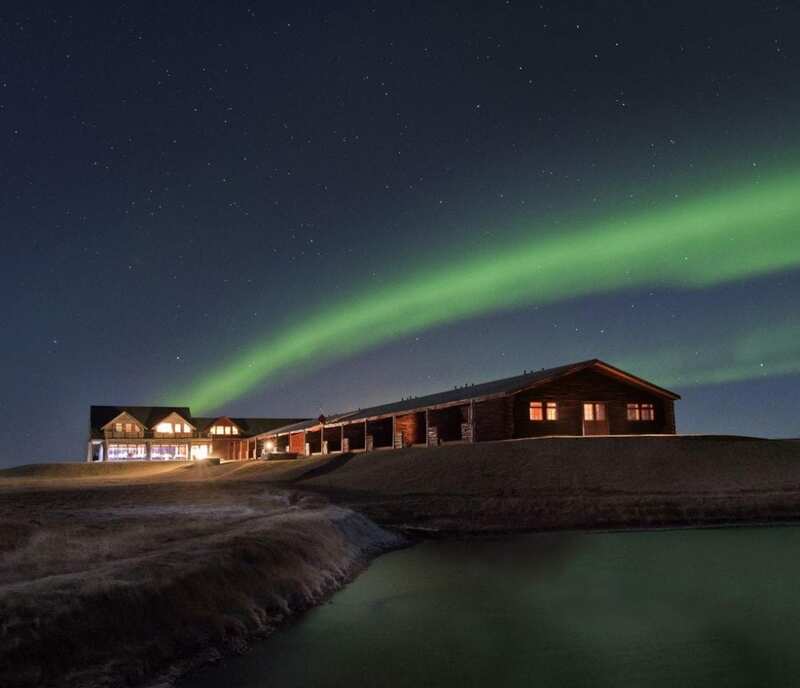 This four-star hotel is situated at an excellent location quite near the Thingvellir National Park but far enough away for you to experience true tranquility and peace. Their amazing outdoor pool, their spa, their incredible restaurant and designer lounge are only a few things that are sure to make your stay a memorable experience but that is until you see the rooms. The rooms at Ion Adventure Hotel range from standard to deluxe to single sub-parterre rooms each and everyone with their own unique character. No wonder the hotel has won dozens of awards for its style and authenticity. The linens are all organic and fair-trade something you will see through and through at this hotel. You can luxury spa treatments and massages on site perfect to do at a location such as this one. After you can relax in the sauna and take a dip in the private outdoor pool in between the heat seasons. This is a place of calm! 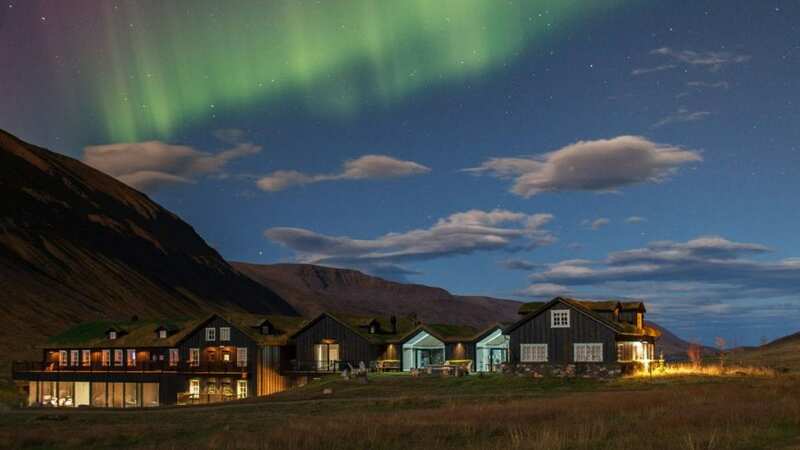 The first 5-star hotel ever to open in Iceland was the deservingly the Retreat Hotel at the Blue Lagoon. 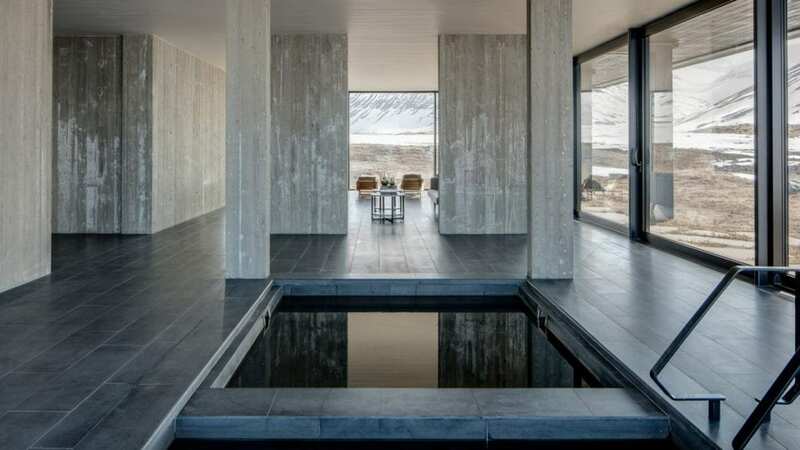 For us this just seems so right, the Blue Lagoon having served as the number one destination in Iceland and a paradise for anyone looking to truly find their zen and relax. The Blue Lagoon, as you might now, takes its waters from within the ground it sits on and this was of great influence in the whole architecture of the place. As with the older buildings, it was kept low, mainly at the same level as the lava field and built into it rather than up from it. This puts a strong tone right away. 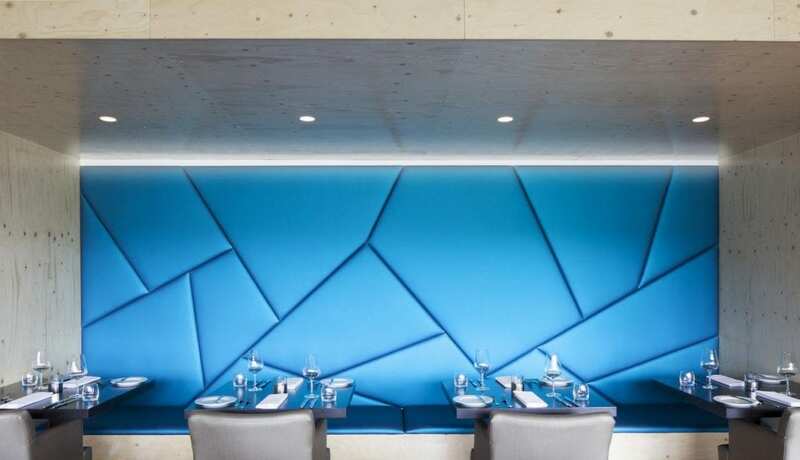 The Retreat at the Blue Lagoon is a designer hotel with flawless natural beauty at every corner. With the suites come private lagoons or a private balcony and guests are welcomed to the unbelievable spa and wellness center. The moss restaurants invited you taste buds on an adventure on its own and the setting is, again, without comparison! 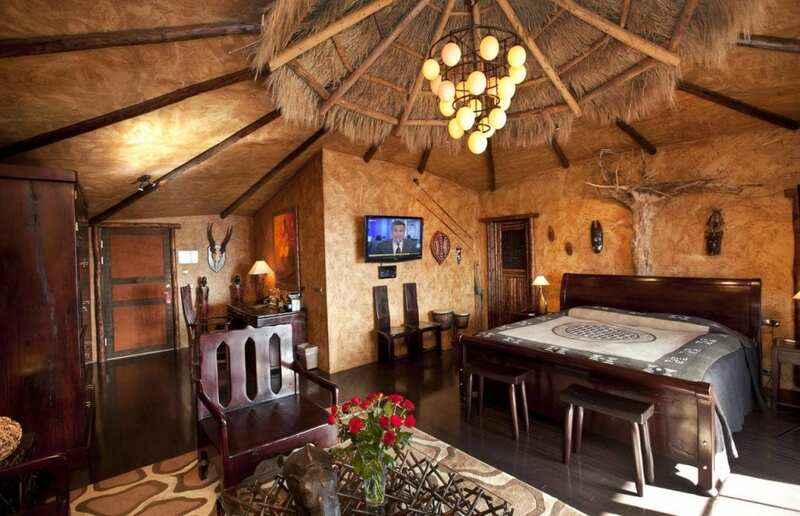 The softness and warmth in the design and furniture go beautifully with the rough lava field that surrounds the Retreat and creates the most original atmosphere. 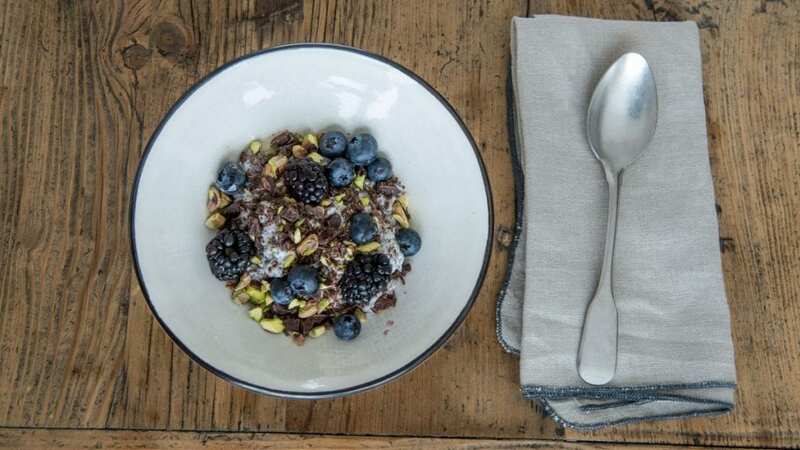 A night at the Retreat is wonderful in many senses but especially with everything included, access to the Retreat Spa and Ritual, to the Retreat Lagoon, Blue Lagoon skin care toiletries, guided group hikes, yoga sessions, a host, access to a gym, an á la carte breakfast and so much more! 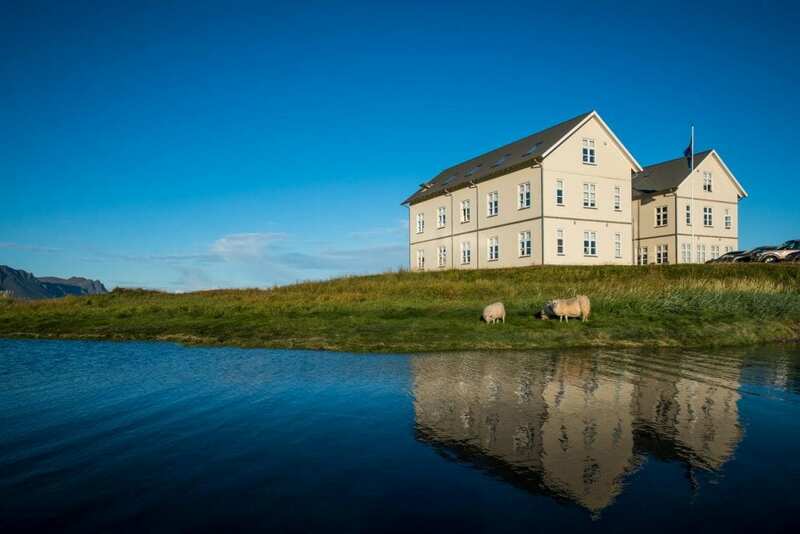 What once was an 18th-century sheep farm is now one of the most amazing hotel retreats in Iceland. The houses stand out, painted black with a turf roof in a mountainous valley in the North of Iceland. Hotel Deplar is a luxury adventure destination offering both remote salmon fishing and heli-skiing in the untouched nearby slopes. The hotel could easily qualify as one of the more isolated retreats in Europe possibly even in the world. If you are looking for true peace you will find it at Hotel Deplar and the hotel was built with that idea in mind. The gym, the yoga studio, the tranquil outdoor swimming pool, the massage studio and the saltwater flotation tanks speak for it. 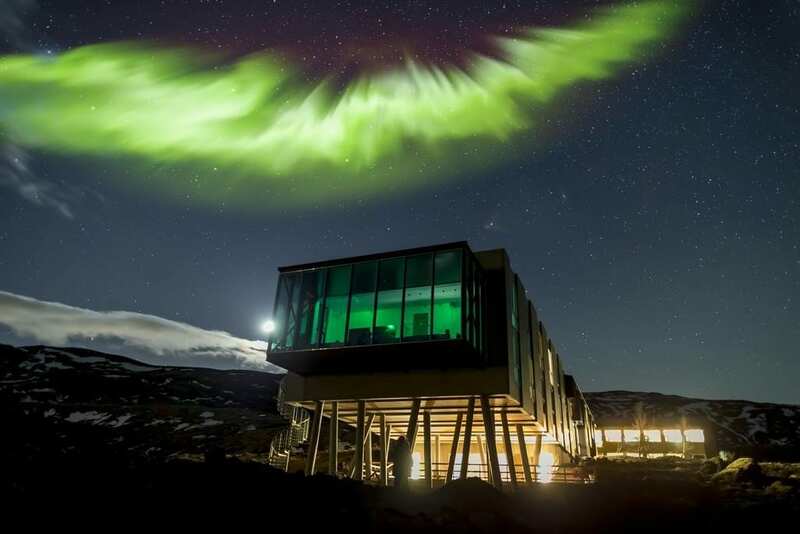 If you had the idea of watching the Northern Lights dance in the Arctic sky, this is your place, and when it gets too cold you can easily cuddle up in the media room which has a huge screen with games consoles and movies. Or explore the sky in the telescopic binoculars if you are looking to keep your zen. The hotel only has 12 rooms each and everyone carefully styled in an elegant way which is a warm contrast to the clean concrete style around the pool. What Time Does the Sun Set in Iceland?